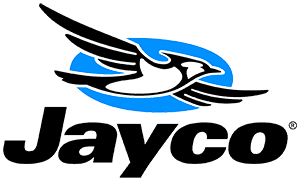 What is a Jayco EAGLE? Eagle, Jayco RV: Top-line comforts are sure to satisfy the entire family in the most diverse lineup of Eagle luxury travel trailers to date. Lavish finishes, a wide array of options and premium standard features let you go seamlessly from exploration to relaxation—with the flexibility to meet every demand in between. 2019 Jayco EAGLE 336FBOK, Just in!  Brand New 2019 Jayco Eagle 336FBOK fifth wheel! Beautiful, modern farmhouse look. Come in today! Rick's RV Center is your local Chicago RV dealer. We are a Jayco dealer and Starcraft dealer. We are conveniently located near Chicago, IL, at the corner of I-55 and US-52 in Joliet, IL. We stock everything from Seismic toy haulers, Octane toy haulers, Talon toy haulers, Starcraft toy haulers, 5th wheel toy haulers, motorhomes, 5th wheels, and Bungalows, to travel trailers, hybrids and pop up campers. We also have a large selection of used RVs and used campers for sale. 2019 Jayco EAGLE 355MBQS, Stop in today to see this beautiful new 2019 Jayco Eagle 355MBQS fifth wheel! Rick's RV Center is your local Chicago RV dealer. We are a Jayco dealer and Starcraft dealer. We are conveniently located near Chicago, IL, at the corner of I-55 and US-52 in Joliet, IL. We stock everything from Seismic toy haulers, Octane toy haulers, Talon toy haulers, Starcraft toy haulers, 5th wheel toy haulers, motorhomes, 5th wheels, and Bungalows, to travel trailers, hybrids and pop up campers. We also have a large selection of used RVs and used campers for sale. 2019 JAYCO EAGLE 322RLOK, Very luxurious triple slide rearliving with an outside kitchen!! It comes with all the Eagle standards plus CVP & Luxury Package!! Additionally, it has 2nd 15K A/C in bedroom, King Bed, Residential Refrigerator, 2nd Power Awning, 32" TV in Bedroom, 32" TV in Outside Kitchen, Rolling Island. Color shown here is American Tradition, but as always, call or stop by for colors, options & your price!!!! Pictures have been updated for the one that just arrived in East Peoria is in the Modern Farmhouse but does not have the auto leveling system shown in the exterior pics. 2019 Jayco EAGLE HT 28RSX, Sleeps 6. One of the longest-running, most successful RV brands, the Eagle half ton travel trailer has something for every camper. Come check out this 2019 Jayco Eagle HT 28RSX today! Rick's RV Center is your Illinois Jayco dealer and Starcraft dealer. We are conveniently located near Chicago and the corner of US-52 (Jefferson St.) and I-55 in Joliet, Illinois. We stock everything from diesel motorhomes, gas motorhomes, toy haulers, 5th wheels, bungalows to pop up campers, hybrid campers, light weight campers and pull behind campers. 2019 Jayco EAGLE 321RSTS, Sleeps 6. Eagle luxury travel trailers are thoughtfully designed, well-equipped, and uniquely constructed using premium materials. Camp in style with plenty of room to extend your stay. Rick's RV Center is your Illinois Jayco dealer and Starcraft dealer. We are conveniently located near Chicago and the corner of US-52 (Jefferson St.) and I-55 in Joliet, Illinois. We stock everything from gas motorhomes, diesel motorhomes, bungalows to pop up campers, toy haulers, 5th wheels, hybrid campers, light weight campers and pull behind campers. 2019 Jayco EAGLE 330RSTS, Sleeps 6. One of the longest-running, most successful RV brands, the Eagle half ton travel trailer has something for every camper. Come check out this 2019 Jayco Eagle 330RSTS! Rick's RV Center is your Illinois Jayco dealer and Starcraft dealer. We are conveniently located near Chicago and the corner of US-52 (Jefferson St.) and I-55 in Joliet, IL. We stock everything from diesel motorhomes, gas motorhomes, bungalows to pop up campers, toy haulers, 5th wheels, hybrid campers, light weight campers and pull behind campers. 2019 Jayco EAGLE 317RLOK, This new 2019 Jayco 317RLOK Eagle fifth wheel is ready for your adventures! With the beautiful new modern farmhouse decor, this is one you don't want to miss. Stop in today! Rick's RV Center is your local Chicago RV dealer. We are a Jayco dealer and Starcraft dealer. We are conveniently located near Chicago, IL, at the corner of I-55 and US-52 in Joliet, IL. We stock everything from Seismic toy haulers, Octane toy haulers, Talon toy haulers, Starcraft toy haulers, 5th wheel toy haulers, motorhomes, 5th wheels, and Bungalows, to travel trailers, hybrids and pop up campers. We also have a large selection of used RVs and used campers for sale. 2019 Jayco EAGLE HT 26.5RLDS, Sleeps 6. One of the longest-running, most successful RV brands, the Eagle half ton travel trailer has something for every camper. Come check out this 2019 Jayco Eagle HT 26.5RLDS! Rick's RV Center is your Illinois Jayco dealer and Starcraft dealer. We are conveniently located near Chicago and the corner of US-52 (Jefferson St.) and I-55 in Joliet, IL. We stock everything from diesel motorhomes, gas motorhomes, bungalows to pop up campers, toy haulers, 5th wheels, hybrid campers, light weight campers and pull behind campers.